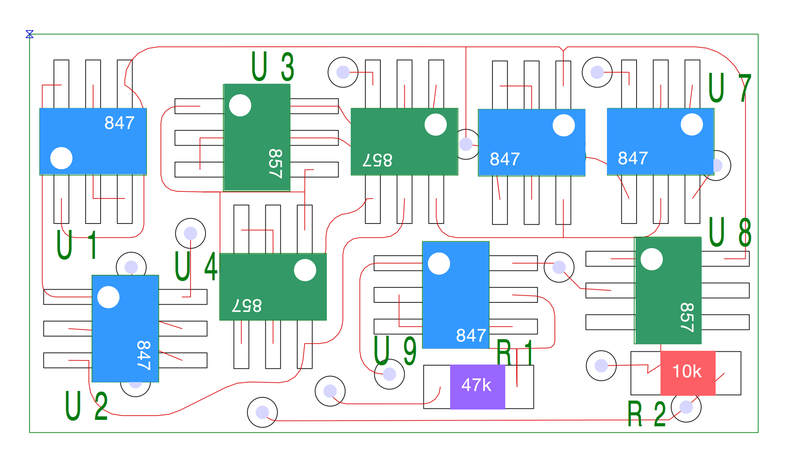 Here are the Gerber files for my version of the Open Music Labs BA662 replica. I’ve called it the tall clown ‘cos it uses BCM847DS and BCM857DS dual transistors, rather than the tiny PMP4201/5201 in the OML version. 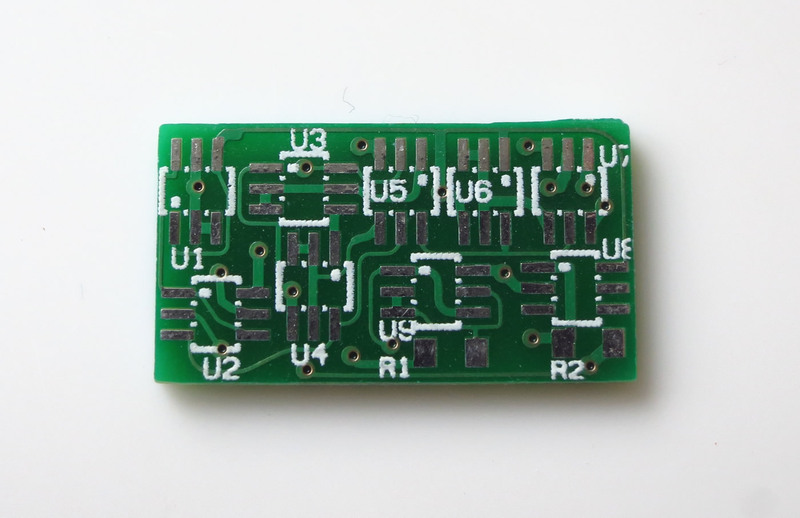 It’s a bit easier to hand-solder than the OML original, but not much. I’ve tested these in my System 100M clone and they seem to work, but ymmv. The filenames follow the iTead naming convention, and the board size is 22.0 x 12.1 mm. If you prefer, here’s a link to the (untested) project on Oshpark – three boards will cost $2.05. Thanks to Open Music Labs for doing all the hard work on reverse engineering the circuit. This particular layout is my fault, so blame me for that. Here’s a handy map of where things go – it’s from rev A, but the components haven’t changed position. The resistors are both 0805 sized. 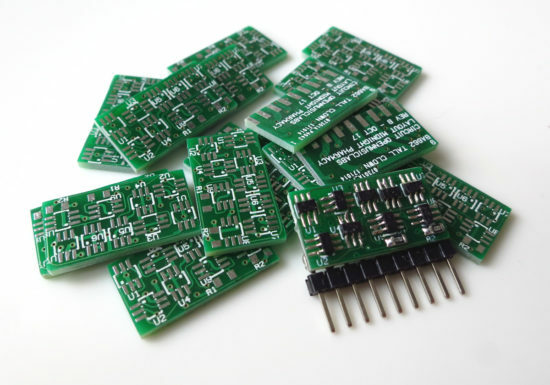 If you can’t be arsed with soldering such tiny components, the OML versions are distributed through Synthcube, try them instead.